One of the Top Supercharger Manufacturers in the U.S. Since its founding in 1974, Littlefield Blowers has been recognized as one of the top supercharger manufacturers in the U.S. We serve a wide variety of performance-oriented customers for land, water, or air—ranging from fast-accelerating quarter-mile race cars to record-chasing land speed cars to showstopping Monster Trucks to torque-loving tractor pullers to drag boats and many things in between. Our innovation in these markets has been crucial to the development of cutting-edge supercharging technology. 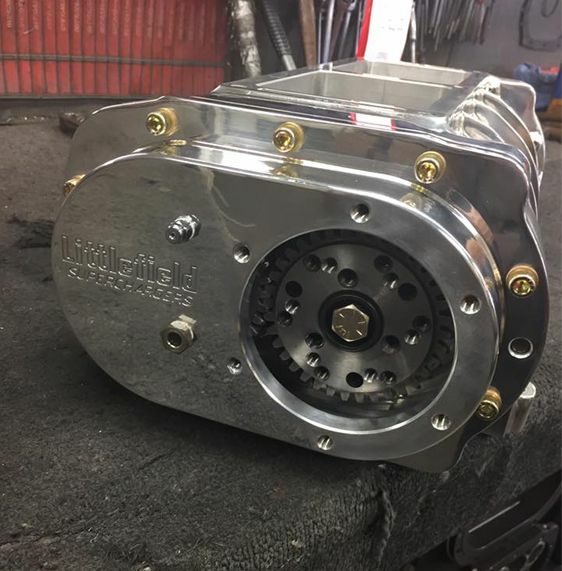 Since the ‘70s, we have steadily increased the performance of the roots-style supercharger—turning it into the superior blower for leaders in the performance racing industry. Our product fits nicely on top of the motor that takes the air in. Then, it compresses it with your fuel to give you more horsepower. Our fully custom pulleys are used to turn the belt to turn the blower with ease. 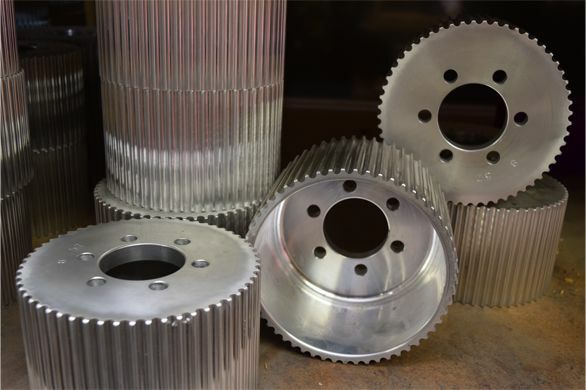 Each pulley comes in 4 styles: 15mm, 15GT, 8mm, & 8GT. Our manifolds go beyond the blower and the block, they are what designates the correct air into the cylinders. High performance snouts are designed and made to take on a beating on and off the track. The Littlefield family has been involved in the racing community for decades. Our passion and involvement have informed our manufacturing practice and enabled us to deliver products that fit the needs of our customers. 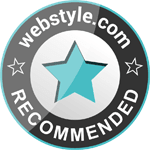 Our team applies our customers’ experience and feedback toward creating the ideal application for their needs. 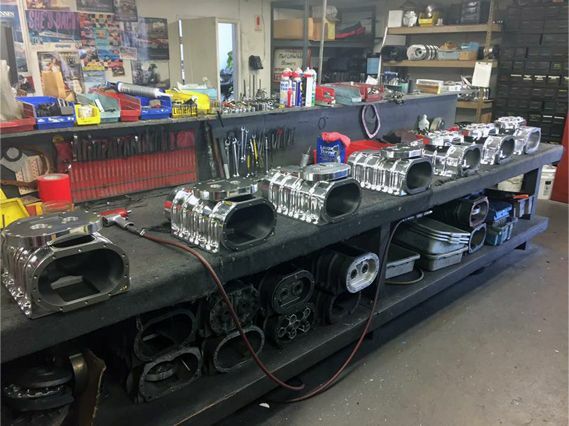 Our experienced staff and CNC machining capabilities offer our customers the best hand-built superchargers, intake manifolds, pulleys, snouts, and components in the industry to give you the competitive advantage you need. Littlefield LB-20 and LB-21 blowers are credited for helping racers like Jason Rupert, who won six consecutive Nostalgia Funny Car titles from 2011 to 2016 along with breaking the category’s 260 mph barrier. Our newest product in the line, the LB-22 blower, is pushing dragsters to reimagine the capabilities of an expert-engineered supercharger. Customers adding boost to their nitromethane- and methanol-fueled applications have found an increase in performance and reliability with the latest design from Littlefield Blowers. Our legacy of producing championship-winning products for racers—by racers—has made us more than just a manufacturer in the eyes of our clients. We are your trusted source for racing products that consistently outperform the competition. Contact us today to experience firsthand the difference of our cutting-edge technology and unparalleled customer care.